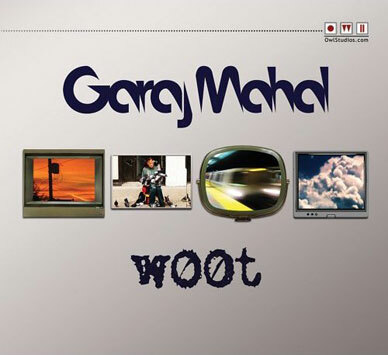 With their first release since 2005, Garaj Mahal returns to the jazz-jam-funk-fusion fray with their most well-constructed album yet. Taking more of a jazz direction as they grow older, there's still plenty of combustible fusion workouts and fluid funk to be had on w00t! When you hear your first Garaj Mahal note, leading into an innovative fusion of funky jazz with a tasty world music flare, all other thoughts leave your mind, as the music takes you on an unforgettable voyage. Fans return almost compulsively to hear Garaj Mahal because they know they will always hear something new, progressive and audience-involved from these four first-class musicians. Between Kai Eckhardt (bass,) Fareed Haque (guitars,) Alan Hertz (drums,) and Eric Levy (keys,) Garaj Mahal combines a century of musical experience to create a sound evolution unclassifiable and always smoking hot. Touring extensively since their formation in 2000, Garaj Mahal constantly captures the hearts of new fans, while keeping the dedicated on their dancing toes, with their ability to draw out serious "shut-up-and-listen" jazz grooves. Garaj Mahals musical experience allows them to constantly push the envelope of composition and improvisation and the music never stops there. Garaj Mahals eclectic sound brings music lovers from various parts of the spectrum together for an experience profoundly different than any currently on the scene.